Thanks to everyone that entered the Quiltessential book competition. 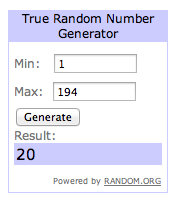 The lucky winner is... comment #20 Pauline G !! Congratulations, please drop me an email at; hello@messyjesse.co.uk with your address and I will have this sent out to you. Happy Birthday - have a great day!! Happy birthday!! Enjoy your sewing day!